A street performer and a Czech girl form a friendship centered around their mutual love for music. 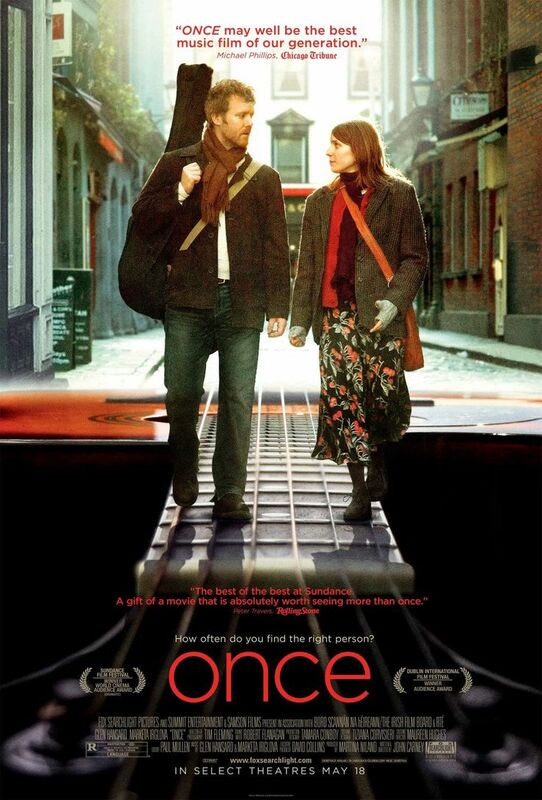 Written and directed by John Carney, "Once" is a low budget musical romantic drama. The two unnamed protagonists, simply billed as guy and girl, are played by singers/songwriters Glen Hansard and Markéta Irglová. The two also wrote and performed the vast majority of the songs portrayed in the film, and much to our delight and surprise, earned them an Oscar for their magnificent song "Falling Slowly." This song is just one of the highlights of this beautiful, immersive movie. "Once" couldn't be more simple. It's about two people forming a bond over their mutual love of music. The guy and girl meet while he is playing his guitar in the streets for some extra cash. The girl strikes up a conversation and thinks he is really good at playing guitar and singing. She also exclaims that she thinks they should work together and record some music. The two kind of hit it off from there and become instantly connected through the power of tunes. There is romantic tension between these two, but both of them are in complicated places when it comes to their love lives. The guy is still pining over his recently lost love, and the girl is married but separated from her husband, tasked with taking care of their young daughter with minimal help. Neither Irglová nor Hansard were actors before taking part in "Once," but do a fantastic job making this dynamic relationship feel genuine with their splendid on-screen chemistry. Though the story is compelling and the acting is solid, the best part of this movie is, by far, its music. Each and every song is better than the last, not just the aforementioned Oscar winning song, but all the music. This is truly one of the best soundtracks from a movie ever. It fits so well with the story and the characters, which makes it timeless in our eyes. There's is a real level of honesty to what happens in "Once" between these two characters, even though much of what goes on is unspoken. We really, really love this sweet, emotionally compelling story with its fantastic music and its smile-inducing, tear-producing existence. Wow, you're onto something! What a cool idea! This movie is subtly brilliant. The concept of the movie is unique in every way.